[The Land of The Wind 바람의 나라] The Kingdom Of The Wind drama is adapted from a manhwa by Kim Jin. 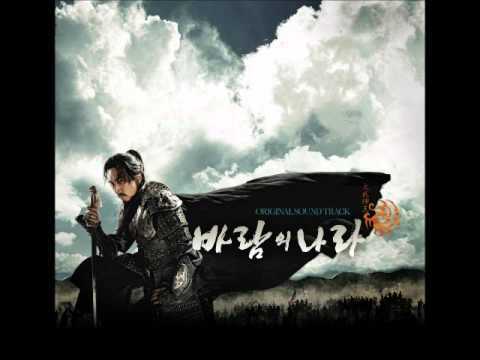 The drama is about the life of the third King of Koguryeo, King Muhyul/Daemusin who was called the god of wars. The drama depicted Muhyul as a person who was born with a curse to kill his parents, siblings, son and destroy his own country. His father, King Yuri, afraid from this prophecy, and also couldn't kill his own son, ordered his elder son, Haemyung, to take baby Muhyul with him outside the palace to live as a commoner. 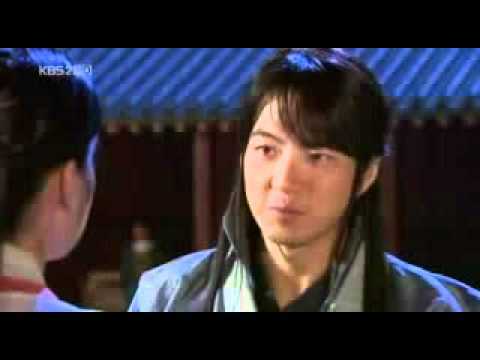 So Haemyung takes Muhyul to his Chief Decorator friend, Hye-Ap who works in King Jumong's grave. Twenty years pass and Muhyul is a grown up man who doesn't know anything about his true identity. In 36 episodes, the drama focused on Muhyul and his nefarious fate. 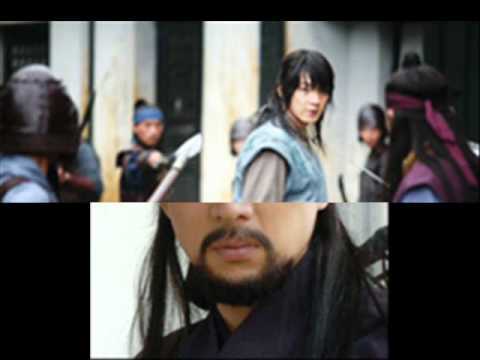 In an attempt to kill King Daeso of Buyeo, Haemyung, Muhyul and their gang fail, leading to Haemyung's suicide. Upon hearing this, the traumatized Muhyul (who thinks that Yuri is behind Haemyung's death) seeks revenge. So he joins forces with The Black Shadows secret army of Buyeo, where he meets Dojin, an assassin in that army who was once a prince of Buyeo. He also meets Yeon, a Buyeo Princess who is physician. Dojin, who has been raised with Yeon since they were children, noticed the growing feelings between Muhyul and Yeon, so he holds a grudge against Muhyul. // Regatul uitat in munti Ji Wook x Mu hyool 319 views runtime : 0:00:54 ..